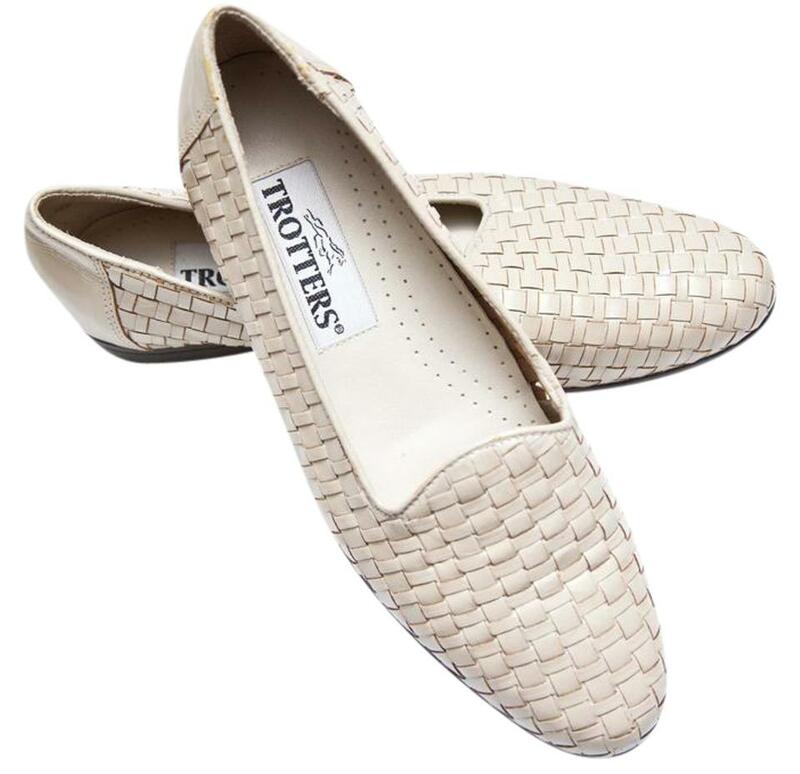 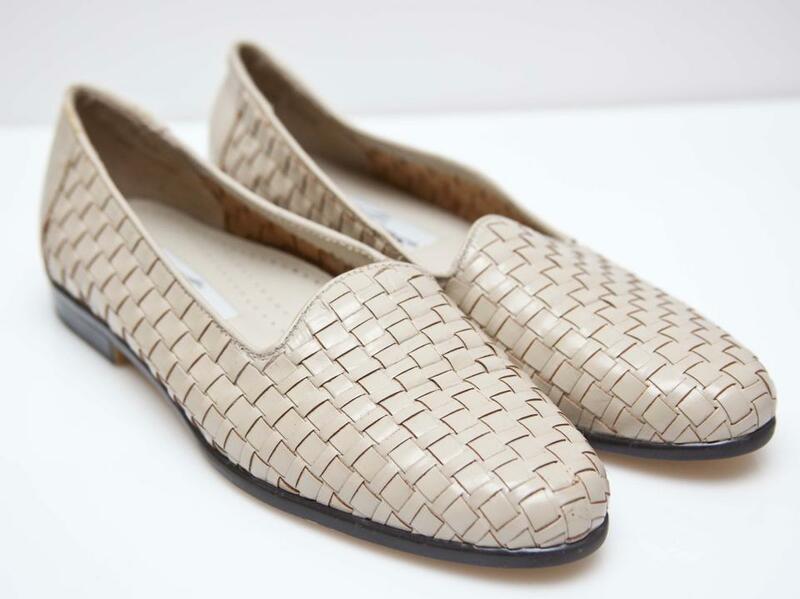 flats, beautiful woven leather all over. 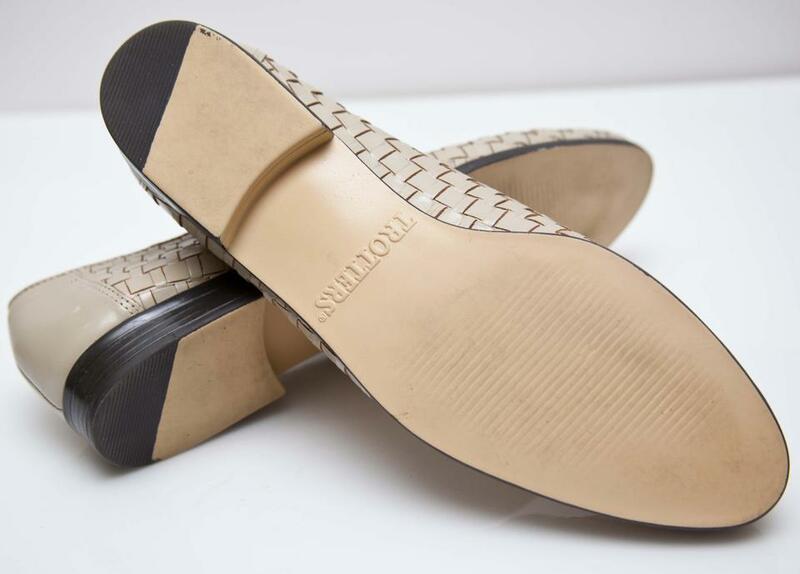 SIZE 7.5 Narrow. 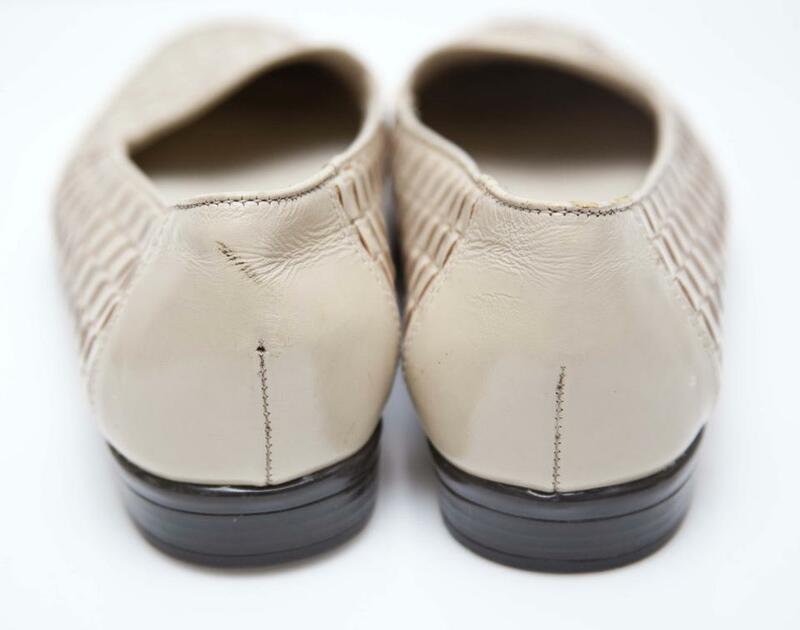 the left heel (see photo). Worn one time!